AND THE WINNER IS? NOT IVAN MILAT! During 1989, a British backpacker, Paul Onions was the victim of a botched hold-up on the Hume Highway near the Belanglo Forest. Onions gave a lengthy and detailed description of the robber to Bowral police. The statement Onions gave to police at that time has not been seen since. 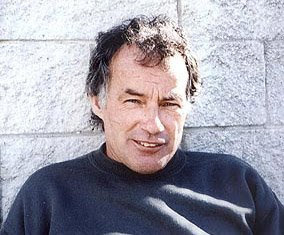 The description of Onion's attacker, according to some surviving police notes would exonerate Ivan Milat from the crime. Onion's, at Milat's trial, swore that Ivan Milat was the man who attempted to rob him. Milat was arrested at his home on 24th May, 1994, by a posse called Task Force Ayr from Chatswood Police led by Clive Small. Among items seized from Milat's home was a part of a Ruger rifle. Some years later, acting on information police dredged up a sway of guns and gun parts from the Hawkesbury River. It is easy to believe that these items had been, or would be used as "throwdowns" in frame-ups. A Ruger rifle had been used to kill the victims at Belanglo. The press and electronic media have not let up on Mr Milat. Nor will they. The powers cannot have the truth known as to why Ivan Milat was framed. Carr's Castle the real story H.R.M.U.The High Risk Management Unit Goulburn Correctional Centre. The Australian Institute of Criminology's Standard Guidelines for Corrections in Australia - 1996 just don't cover the Goulburn HRMU according to Mr Ron Woodham Commissioner of Corrective Services. The High Risk Management Unit (HRMU) is the centrepiece of a major $22M redevelopment of Goulburn Correctional Centre. The Prime Minister has thrown his support behind the National Rugby League (NRL), saying the Bulldogs affair should not reflect on the game as a whole.